After a week of sweets, how about we have something that is light and tasty? 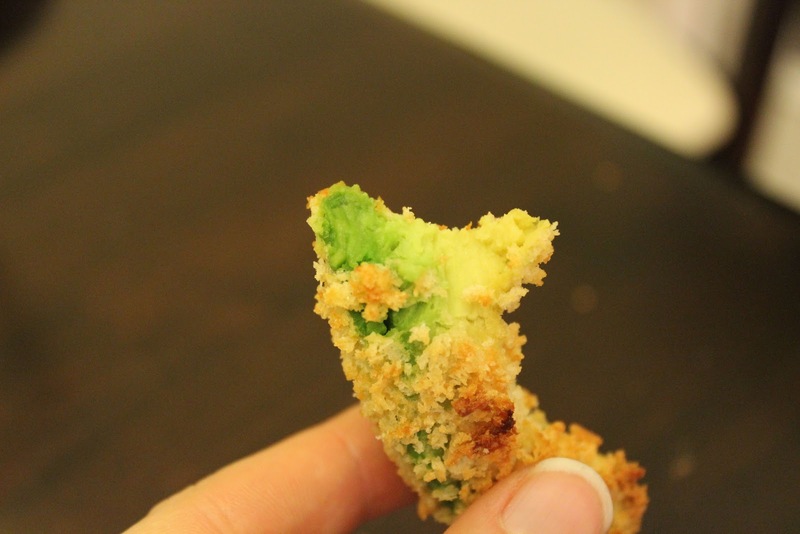 These avocado fries are amazing!! 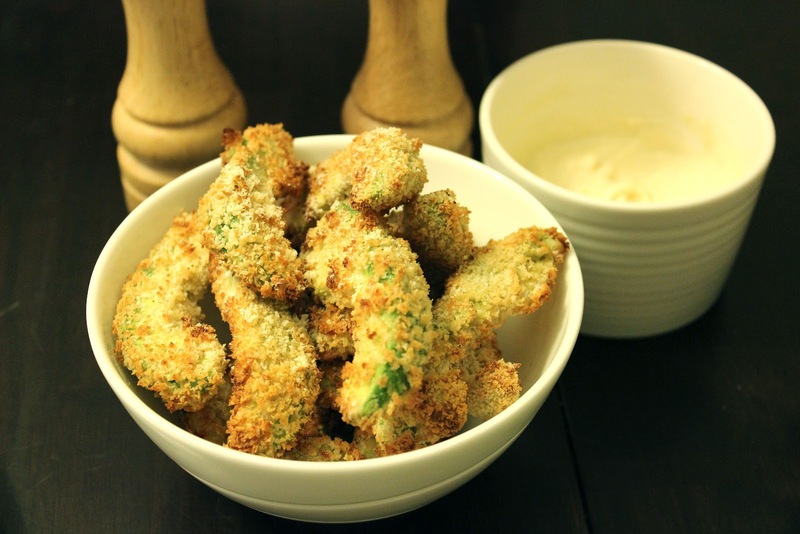 They are coated in panko bread crumbs and baked in the oven (instead of fried), then served with a lightened up dipping sauce that is incredibly addicting. 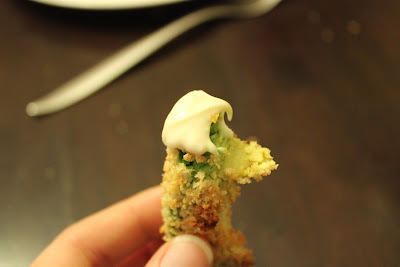 These are fantastic as a side dish, after work snack (or school! ), or even as an appetizer. These came together so fast and I have added them to our list of recipes to make again soon. Very soon. The avocado fries recipe is from bethcooks.com and the dipping sauce recipe is originally from Bell'alimento and was posted on the bettycrocker.com site. Please make these soon :) This makes 2 - 3 servings as a side dish. Enjoy with the baked avocado fries! Soft on the inside, and crunchy on the outside!